Are you kidding, I LOVE link lists (and thus do one every Saturday). You should add this to the link up I have at the bottom of mine tomorrow. Such a good round up, pretty much just clicked on every single one. And thank you for including me! Thanks so much for the heads up about the link up! I’ll definitely add mine tomorrow. Glad to hear you like the posts! I surely will click on all of yours tomorrow. Love roundups! 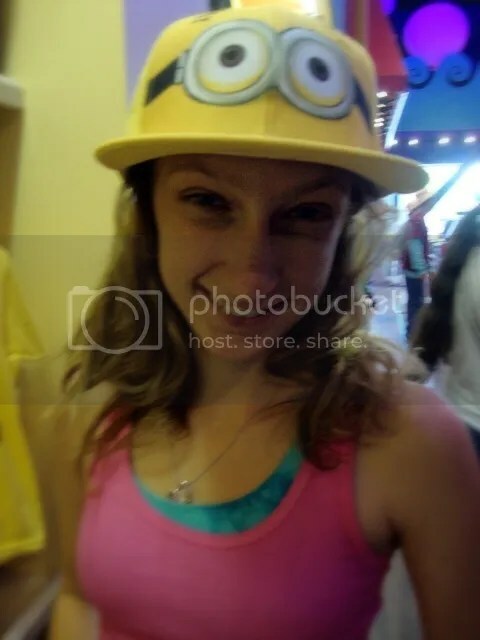 Umm okay can I just say that I am utterly IN LOVE with your minion hat. Uhbsessed. THANK YOU! It’s pretty amazing. Unfortunately, I didn’t buy it because it was also super expensive. 😉 Thanks for stopping by! Thank you for including me on this list 🙂 Italy rocks! Oh for sure! Totally in love with your blog. And I do have quite a soft spot in my heart for Italy. I can’t wait to get back! I love link lists! I’m just a newbie blogger, figuring all of this out, so tip on who to check out are great for me – thanks!! So glad to hear you like them too! Sometimes I read bigger blogs and I get totally intimidated, but it’s good to check ’em all out!